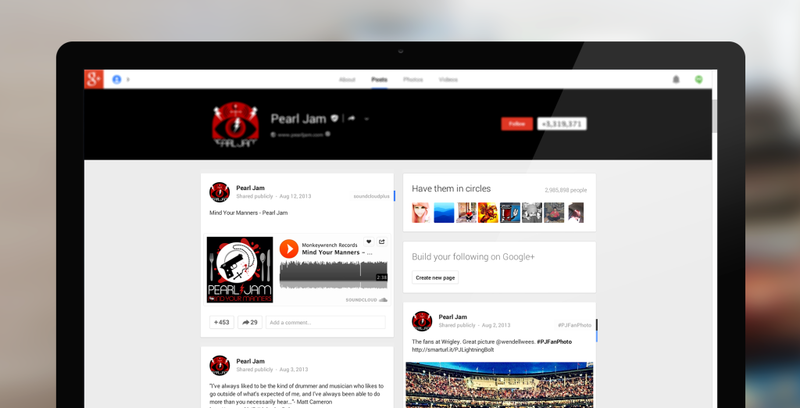 The popular music sharing platform 'SoundCloud' will now let you share the music you make and most on it, to Google +. You can now share any SoundCloud URL to your Google Plus circle. You just have to enable the widget when you post your 'music' on SoundCloud. That will do the trick. If you want more just wait for the integration to propagate and then you and your friends will be able to play the sounds from SoundCloud you have shared on Google + in the Goolge+ itself without opening any additional window. The added Google+ Sign-In feature claims to make it easier for users to share their sounds and audio tracks with their circles on the service. You can get further information about this on the SoundCloud blog here. For the uninitiated, 'SoundCloud' allows musicians and wannabe ones to upload, record, promote and share their orignial compilations. The sharing makes it one of the most popular portals among the new and established musicians. You can find Artistes like Pearl Jam, Snoop Lion and Armin Van Buuren on SoundCloud already using the integration to share their latest tracks. Just check for these hashtags : #soundcloudplus and #summersound). Great information and Google+ is certainly making nice widget..